Agra, located in Western Uttar Pradesh, has an estimated population of 1.5 million as per the 2011 census. Agra population consists of 53% male and 47% female residents. 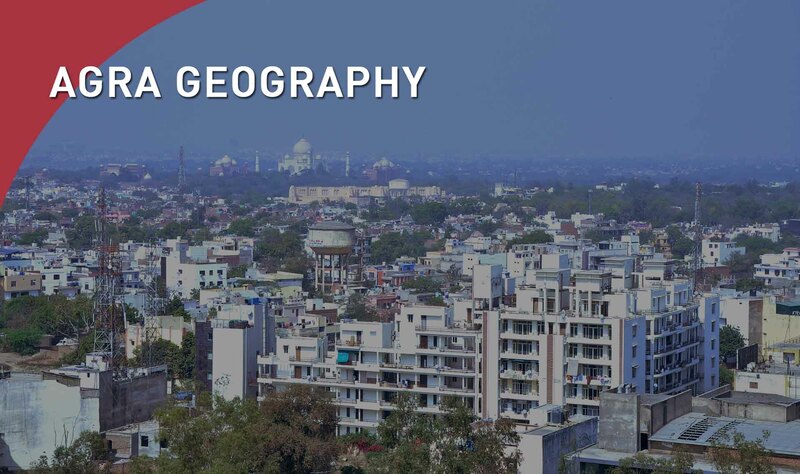 Agra city has a literacy ratio of 75.11%, which is above the national average of 74%. Agra is served by train connections from Delhi and Mumbai. It is well-connected by road, including the Yamuna Expressway which connects Greater Noida with Agra via Mathura. Local modes of transport include city buses, auto rickshaws, and rickshaws. A metro rail development program has been approved for Agra. The principal economic driver for Agra is tourism, along with crafts based industries for stone carving, marble inlay work, and carpets. Agra is famous for leather and footwear, and other industries include iron foundries, handicrafts, garments, zari and zardosi work, sweets, automobiles, and cold storage. Agra has multiple schools and colleges. It is the home of the Hindi newspaper Dainik Jagran. Its principal languages are Hindi, Brajbhasha and Urdu. It is located 169 m above sea level.